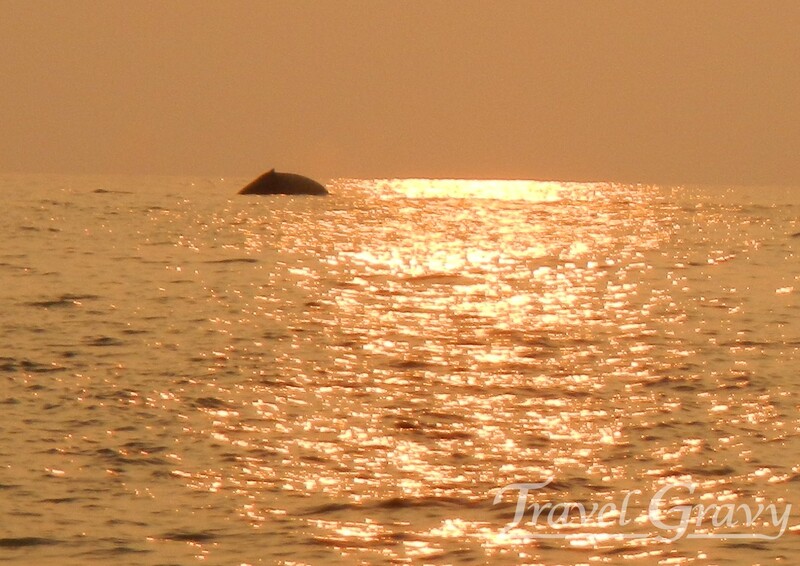 Four humpback whales played in the sunset at the mouth of the bay. Normally I'm a person that does lots of research before buying, but an impulse buy turned out to be perfect. We bought binoculars in September, because the package specifically said they were good for whale watching. I bought them the day we were headed up Mauna Kea to see the stars, long before the humpback whales arrived in Hawaii. I'm very glad I did. They are the Bushnell 10 x 42 mm waterproof and fog proof. If you go to see the price on Amazon, click the link, then use the size drop down box to choose the size "10x42." We've never dropped them in the water, but I don't hesitate to use them on the beach, in a boat, or in the rain; and they haven't fogged or rusted. We quickly learned to take them on every outing even if we think we are just headed to the store. Then we make sure to take them into the house when we arrive home to see whales from the balcony. At first it seemed that when we needed binoculars, they were wherever we were not. They have a comfortable rubber coating to keep them safe in the saltwater spray, and it makes them easier to hold than our last binoculars. They are a good magnification level for whale watching, 10x42 and they keep things bright. When standing on the beach, I find that looking for the whales, dolphin, birds by scanning the 180-degree horizon with the naked eye, then using the binoculars after we spot something is a more efficient way to find something, than looking at through the binoculars alone. The lens is very clear and sharp. It has allowed me to verify that the dolphin one mile away on the other side of Kealakekua Bay were actually dolphin. 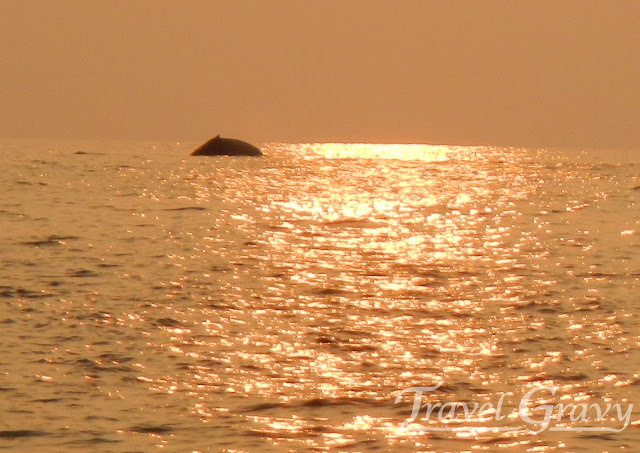 It allowed me to get a great view of the mother whale and baby whale in the Bay at Two Step, on the Big Island of Hawaii. Another perk when I'm taking a break on shore, is that they make it easier to tell which snorkelers are "my snorkelers." Binoculars can get heavy, so I sit on the ground and prop my elbows on my knees when I'm going to be using them for a long time. When we're back at the house, I particularly like sitting on the balcony (lanai) and resting my elbows on our porch railing to steady the binoculars as I watch for whales. Another perk is that you can make a friend quickly by offering to share your binoculars, especially when they would otherwise miss the action. These binoculars come with a nice canvas case with case strap, rubber end caps, a neck strap, a cleaning cloth, and instructions that I may eventually get around to reading. I'm sure there are other great binoculars out there, but do not get ones that are too high a magnification, too narrow of a field of view, too slow to focus, nor too finicky to keep focused when you're on a moving ship and looking at a moving animal. We were lucky to have fallen into these. Tip: You can lean on your car or a tree for more stability when using binoculars or a camera.